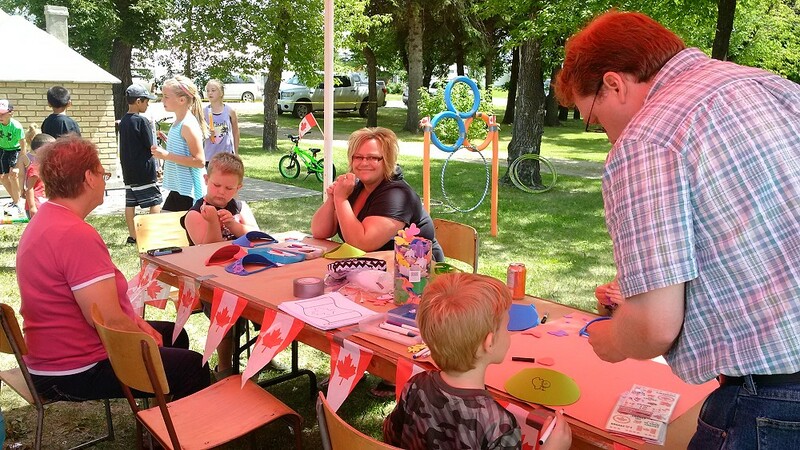 Benito celebrated Canada Day 2016 with a full day of events. 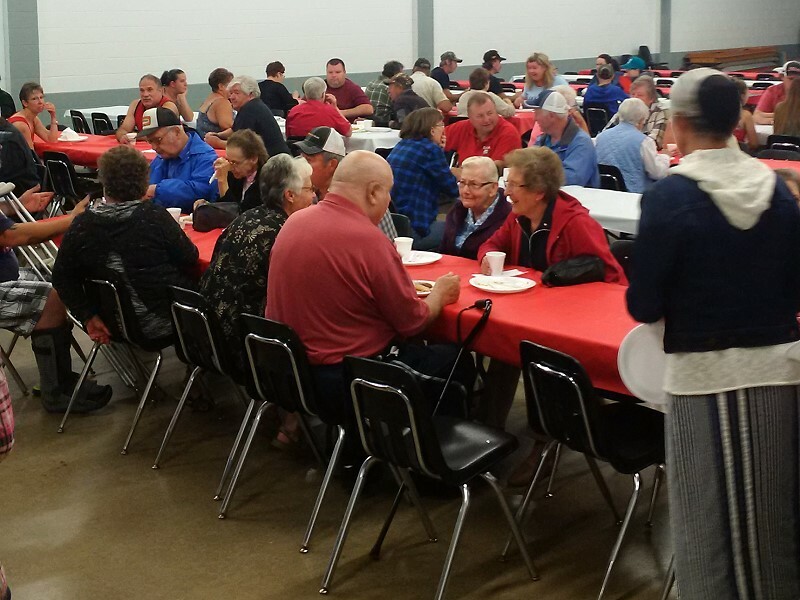 The day kicked off with a fantastic pancake breakfast hosted by the Benito Volunteer Firefighters Association. 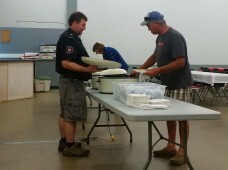 At times the wait was a bit long, but in the end very worth the time visiting with your neighbor in line. 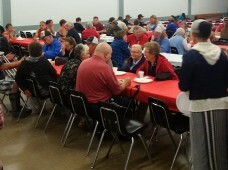 When the kick off finally rolled to a stop, 325 satisfied pancake and sausage lovers were fed, watered and ready for the day. 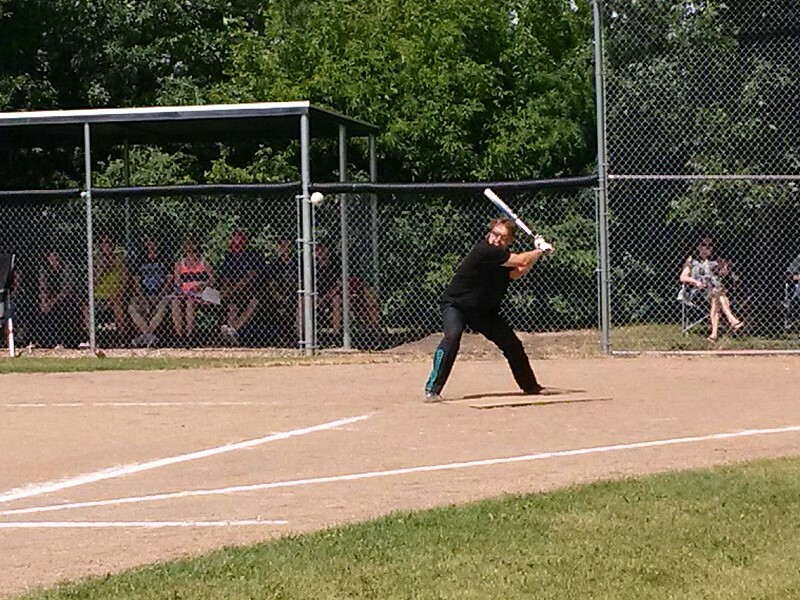 Slowpitch commenced at 10:00am. Six teams in total enjoyed the beautiful weather. The bleachers had fans of all ages watching the community and surrounding area teams have fun and enjoy the sport! In the end, everyone had a great time despite the couple minor injuries. During the tournament, Dianne Prekaski from Norquay entertained everyone with her country/folk talents. 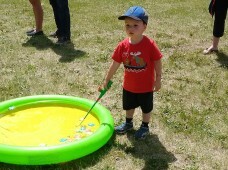 The kids games and activities were buzzing with everyone participating in a craft table, fish pond and bouncy castles. The organizers had face painting, balloon animals and other great fun activities for the children with lots of great prizes for the children. The horse shoe pits gathered a handful of competitors for the open and over 55 tournaments. Of course the Gymkhana drew a good crowd, and even some new fans as well. While everyone was enjoying the day and activities the concession inside was serving up fantastic food and goodies all day, and into the evening. After concession closed you were able to snack on the popular curly fries that were being cooked and sold outside near the beer gardens. 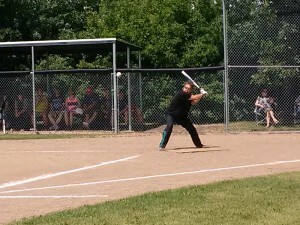 The main attraction of the evening saw the Swan Valley Reds take on the Roblin Stars in a baseball game. This event attracted a large crowd of fans and followers, families and friends. The end result saw The Reds coming up short for a loss, but a valiant effort for the team and a big Thank You to everyone who made it possible to host the game here in Benito. 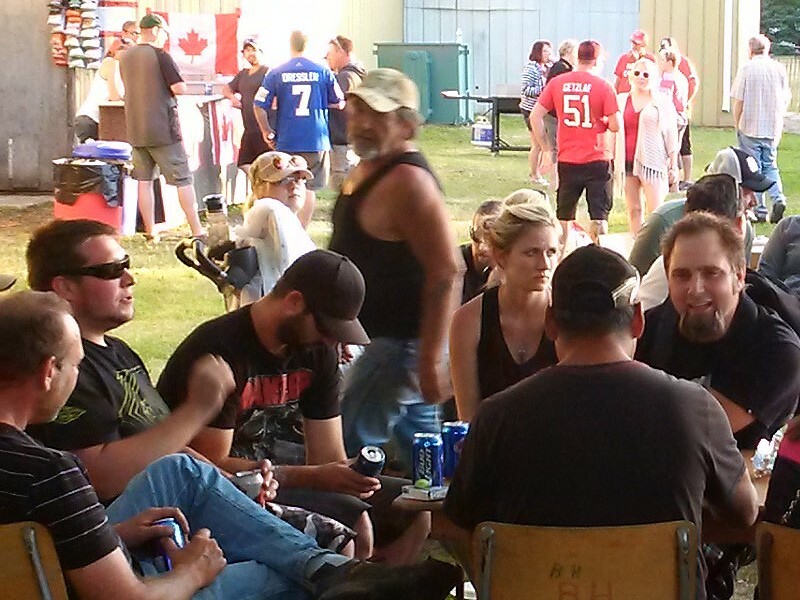 The day wound down with our 50/50 draws and finally the beer gardens. The weather was beautiful all day which made enjoying a cold beverage a much needed reward after playing ball in the hot sun or racing your horse during the gymkhana. 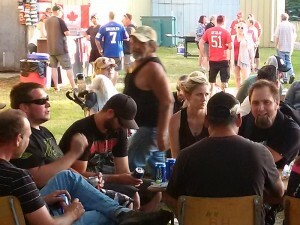 Friends and families sat and visited, and enjoyed Canada’s birthday. At closing for the evening, Benito Volunteer Fireman organized and set off the beautiful display of fireworks to finalize the day. Thank You to all the community members who volunteered to help make this day a success, and a big pat on the back to the Benito Rec Centre Board who work countless hours to make an event like this come together for our community and surrounding area.